I'm always gratified when I see our wines win medals. Congratulations to all winemakers on their success, I expect even more samples and, by all means, more medals next year. Winemakers will get their results in about 10 days time and I am also very eager to receive all relevant information. Siniša Lasan, a sommelier and the only Croat who has, for the second time in a row, participated in the Decanter World Wine Awards, the world's most influential wine competition, tells us why 2017 will be the most successful year for Croatian winemaking internationally. All of Siniša's friends and Facebook followers could see his videos made over the last few days, featuring news from London and daily reports from the prestigious competition held from 24 to 28 April. * Siniša, what gave you the idea to make the videos, and how many people are following your work? The idea and goal were to pique the public's interest in the importance of the competition – both the media and people who simply love wine and follow events on the wine scene. Your paper is among the rare media that followed me both last year and this year, so I believe that only by joining forces to promote Croatian wines and spread wine culture in general can we make a step forward on the global scene. Following my second year at Decanter, I have to say that we're on the right path, although this is only the beginning. Without the media as an important link in the process, it is hard to accomplish our common goal – what's the point of all these medals, efforts invested by winemakers and their success if nobody knows about them? I have posted seven videos that had about 14,000 views, and if just half of them viewed them all the way through, or if they were viewed by people who are genuinely interested in the topic, I can say that my reporting has been successful. * You participated in the DWWA last year as well – can you compare it to this year and with regard to Croatian wines? Primarily, my 'initiation' at Decanter last year, and getting to see it from the inside, gave me an important perspective. Namely, I cannot say that I was disappointed by the fact that there were about 80 samples from Croatia, but I also felt somewhat powerless, because I didn't participate in the Croatian panels and couldn't point to the specifics of our wines for which the highest quality is the expression of the terroire. Then came the award for the best monovarietal wine for Croatia, for Istria! That confirmed that we have world-class wines, as I've always said, and it's important to let the world know it! All this kept me quite busy this winter, contacting the people who organize the competition and convincing our winemakers of the importance of having their wines compete. I believe that the mission was a relatively successful one, as 135 samples were submitted this year. What made me happy was the fact that I attended one of the 3 Croatian panels and could oversee the results at close range. * You have already announced that this year will be the most successful year for Croatian winemakers as far as Decanter is concerned, and your videos first announced five and later seven gold medals for our wines – what is the final tally and can you tell us which wines were awarded? I can honestly not describe the thrill I felt when the first gold medal was awarded to us. The samples were really good and I only waited for our panel colleagues to confirm my high scores or hear the other two panels call out their high marks. What we know for sure is that Croatian wines won 7 gold and 2 platinum medals. However, there are also about 20 silver and certainly over 50 bronze medals. Taking into consideration the number of samples, this was an enormous success. Each sample is coded, so, unfortunately, even I don't know the winners. But I know that medals were awarded to all of our regions. I'm very proud and I want to congratulate all of these winemakers. I expect even more samples and, naturally, more medals, next year. The winemakers will get their results in about 10 days time, so I'm impatiently waiting for further information. * You have mentioned that all of our regions were awarded medals – how well did our county wines do? I have to say that I paid close attention to the southern wines, as they have always been the greatest mystery for the judges because of the terroire, and I believe that the judges have finally begun to understand them better. I am sorry they were not included in my panel, yet what I heard is that Pošip wines did really well, along with Dubrovnik's Malvasija. What made me really happy was that one Plavac label was awarded a silver medal, as I think previously they mostly won bronze medals. All in all, the quality of wine has improved significantly, to which Decanter truly testifies at the global level. * Do you expect to go to London again and what will you do in future? I honestly hope that I represented Croatia properly and that I will be invited again. Even if I don't get to participate next year, my involvement in Croatian wines and competitions will remain the same. As for me, first there is the tourist season at the Proto Restaurant, then the job of finding new labels, as well as learning. I entered the Advanced Sommelier level at the Court of Master Sommeliers where I will take the exam in Austria in November. I will spend next winter touring winecellars, of course, helping winemakers put their wines on the market, working on the promotion of Croatian winemaking globally, and continuously testify to the importance of Decanter. I get a great deal of help in this from local forces, like Ksenija and Anđela Matić from the Event Lab Agency, with which I cooperate successfully. * Finally, what is your message to winemakers and our readers? I would like to once again congratulate our winemakers on their awards and thank them for taking my advice. They have much work ahead, 2017 will be a challenging year due to the damage caused by spring frost, yet I hope they will not give up and manage to make the best of it, as they always do. I hope they will submit more samples next year, for regardless of which winemaker is awarded, it is an acknowledgement for the entire region and boasts positive competition among winemakers, making them improve and strive for more each year. 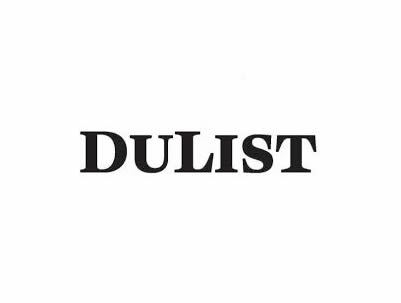 I would also like to thank DuList for following my wine-related adventures and all of your readers who support my work by showing an interest in wine and promoting viticulture! I will spend next winter touring winecellars, of course, helping winemakers place their wines on the market, working on the promotion of Croatian winemaking globally, and continuously testify to the importance of Decanter.